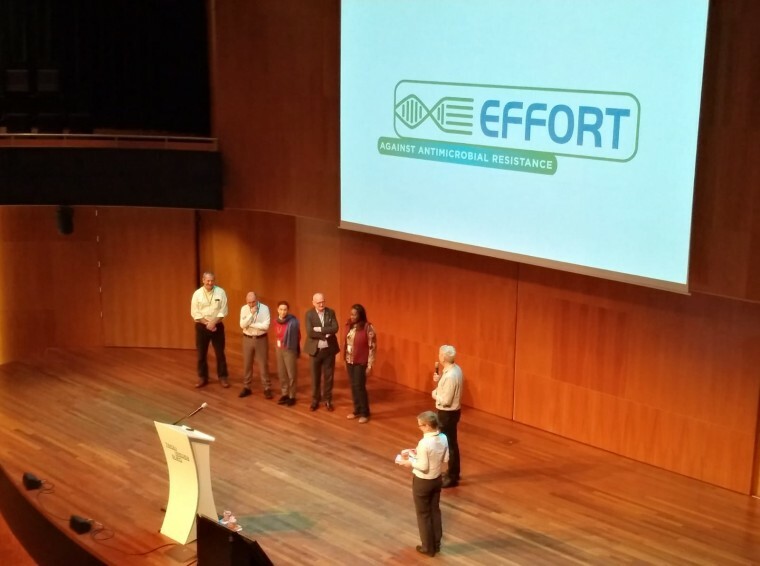 EFFORT against antimicrobial resistance - EFFORT International Conference: How to control antimicrobial resistance in the food chain: Warm THANKS to our EAB Members! EFFORT International Conference: How to control antimicrobial resistance in the food chain: Warm THANKS to our EAB Members! The EFFORT consortium has committed to perform research that is scientifically and ethically sound. For this purpose, the EFFORT project appointed an international External Advisory Board at the very start of the project to monitor the scientific and societal relevance of the project, to maintain a link with stakeholders (producers, veterinary professionals, consumers), and to ensure that the highest standards are met. All along the project long, the External Advisory Board has advised the EFFORT project in terms of work programme, scientific quality and project strategy. Moreover they did their maximum to spread the word about the conference to their international network of contacts. This is the reason why Jaap Wagenaar, Coordinator of the EFFORT Project, warmly thanked them for their involvement during 5 years for EFFORT!